School delay or “late start” — When a late start is determined, classes will begin at 10 a.m. Most other schools delay by two hours. Our delay is always 90 minutes. When a late start is determined students should arrive to school no earlier than 9:45 a.m. 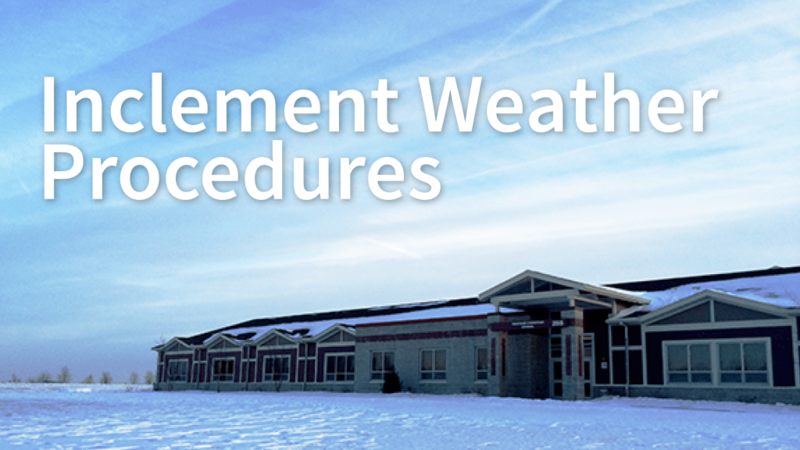 If there is a delayed start due to weather, the Before and After School Program is always cancelled. Late start has potential to become a full-day school cancellation. School cancellation — Continue to watch the media after determination of late start is made. Early dismissal — Parents will receive a text through Parent Alert by the school office to inform them of the time school will be dismissed.